Obama Visits West Virginia on Coal Disaster Anniversary: Will He Finally Recognize Appalachian Health Emergency? President Obama's visit to address the drug epidemic in West Virginia on Oct. 21st falls on the anniversary of a historic coal slurry disaster that symbolizes another Appalachian emergency health crisis: Cancer-linked fallout and toxic coal slurry from reckless mountaintop removal operations. Ever since Obama took office, the long-time tragedy of Oxycontin and prescription painkillers, along with heroin, has ravaged coal mining communities in central Appalachia--despite years of national news investigations on failed regulatory enforcement. 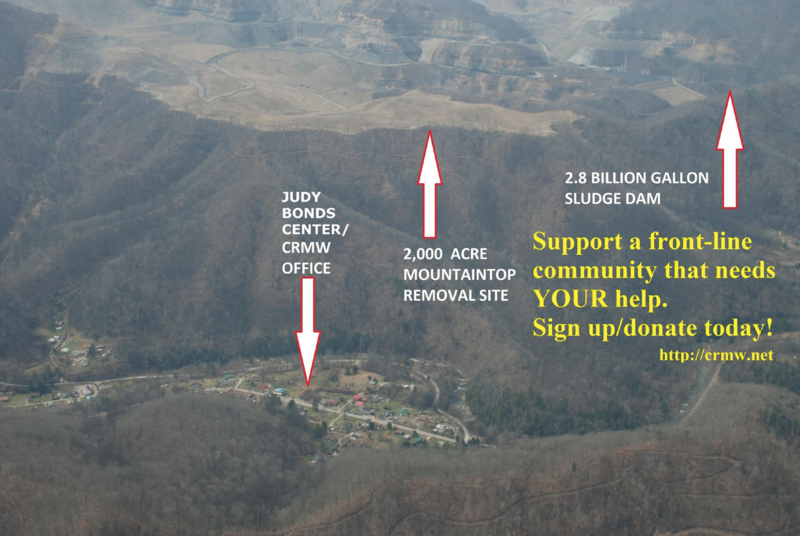 In that same light, after years of ignoring pleas from besieged residents on failed mining regulations, will President Obama and members of his administration finally make their first historic visit to a coal slurry impoundment and a mountaintop removal operation, and recognize a spiraling health disaster that has resulted in documented high rates of birth defects, lung cancer and heart problems? 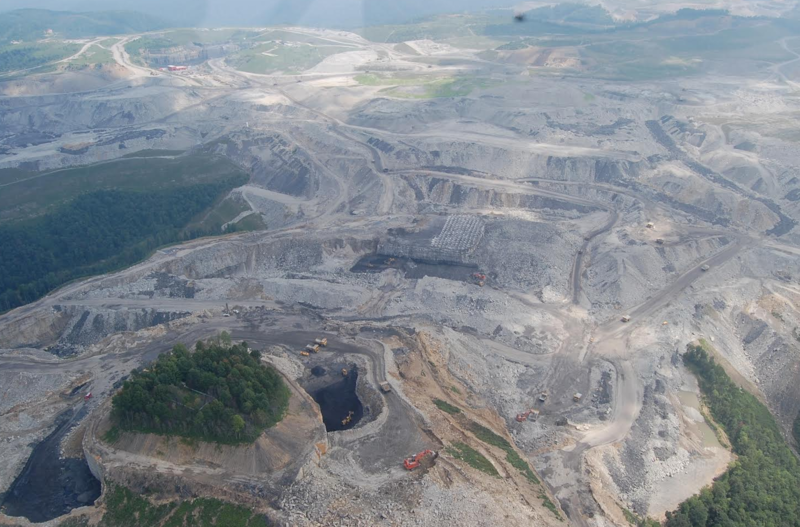 En route to West Virginia, President Obama will literally fly over massive coal slurry impoundments and untold miles of mountaintop removal operations. All the president needs to do is look outside his window--and acknowledge an American tragedy that should be abolished, not regulated. 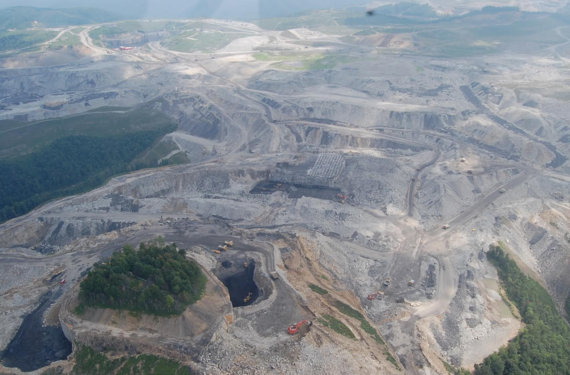 Earlier this year, over 200,000 residents and Americans petitioned President Obama and the US Congress to enact the Appalachian Community Health Emergency Act, a moratorium on mountaintop removal mining until federal health studies are conducted. "The sludge pond that hangs like a Sword of Damocles a few hundred yards up the mountain above Marsh Fork Elementary School in Raleigh County," wrote former West Virginia Rep. Ken Hechler, recalling the coal slurry disaster on Oct. 21 in Wales that shocked American coal mining communities. "With 2.8 billion gallons of sludge close to the blasting of mountaintop removal nearby, is it any wonder that I think about Aberfan?" At the age of 101, mountain hero Ken Hechler--the only member of Congress to march in Selma, Alabama in 1965--awaits a visit from Obama in West Virginia, and has personally called on the President for years to have a "Truman moment" and end the crime of mountaintop removal. 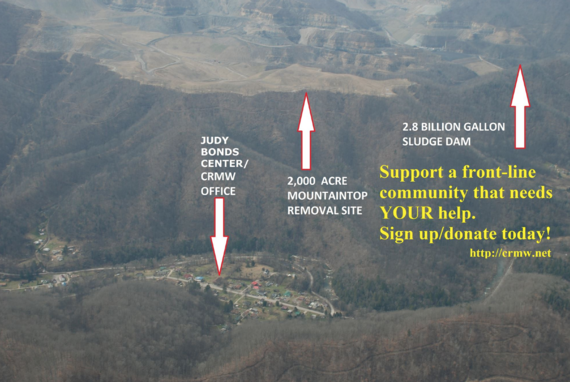 Despite the decline in the central Appalachia coal mining operations, devastating mountaintop removal operations continue--the war on Appalachia is far from over. No different than the long overdue address on the Appalachian drug epidemic, it's time for President Obama to finally address the mounting health crisis and death toll from mountaintop removal and coal slurry. Photo courtesy of Coal River Mountain Watch.